Eleni's sister Efrosini (Froso) Anastasopoulos was my mother Anna's stepmother. 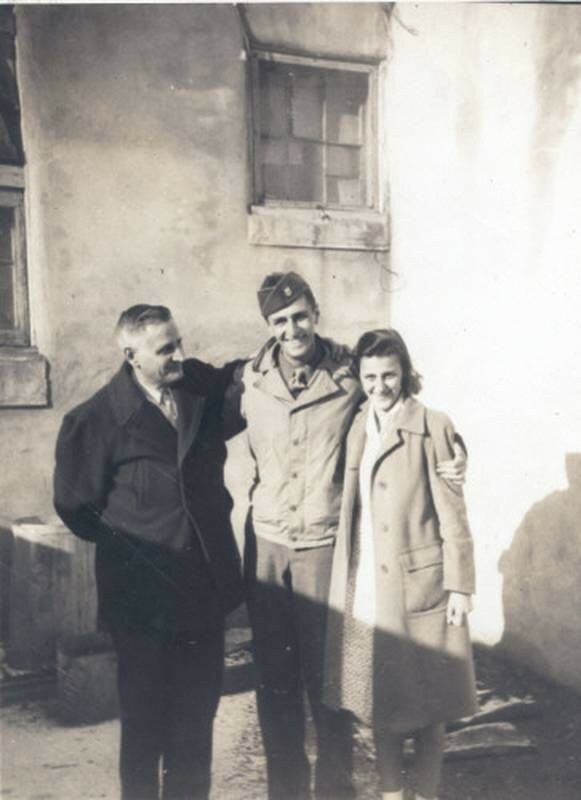 This photo was taken at a relative's house in Athens. 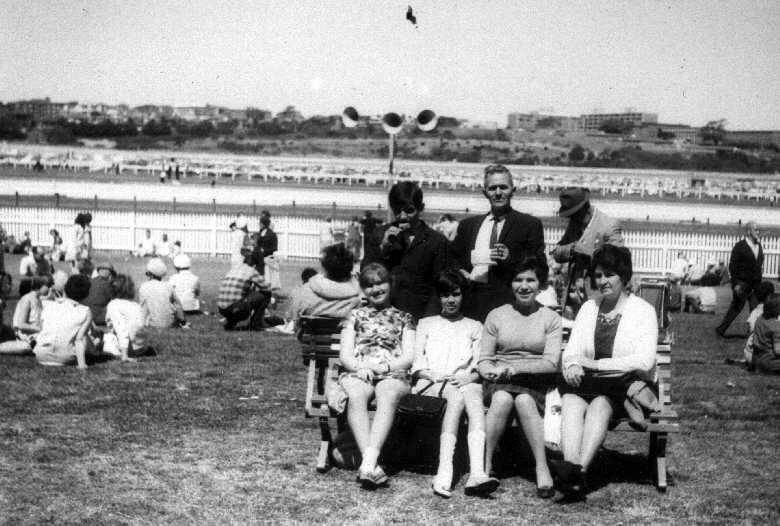 This photo was taken in Wollongong. 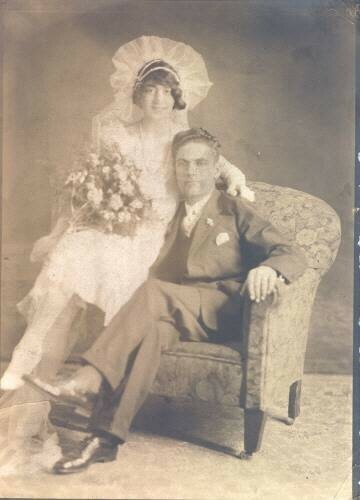 My grandfather was born in Ayia Anastasia in 1898. He arrived in Australia on July 20, 1914 aboard the 'Nera'. 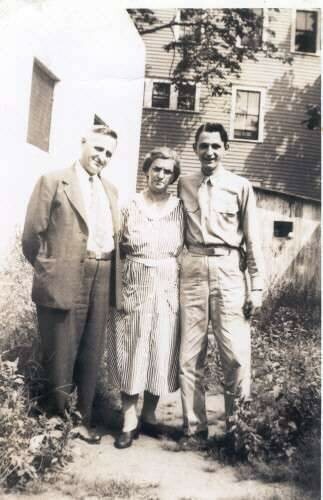 My grandfather's parents were Steve and Eugenia. 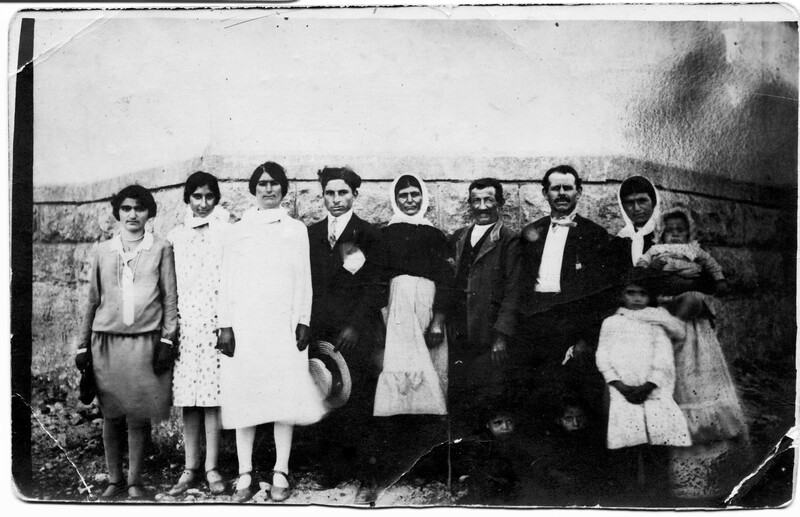 My grandmother Ekaterini (Katina) was from Logothetianika. Her parents were Stefanos Moulos and Stavroula Kalopedis. 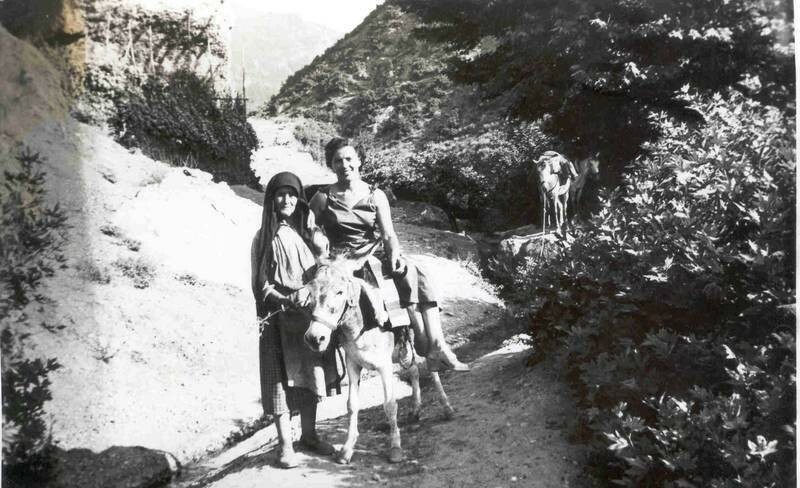 The lady on the left is my grandmother Ekaterini (Katina) Zantiotis (Moulos) who was from Logothetianika. Her parents were Stefano Moulos and Stavroula Kalopedis. 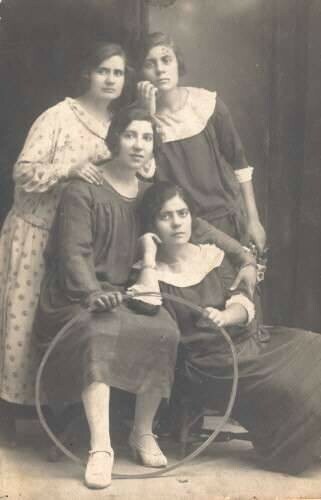 The lady on the right is Erifili Zantiotis (Coroneos) who was a 'Belo' from Potamos. 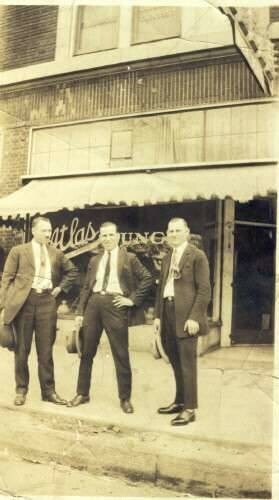 My grandmother's husband, Peter and Erifili's husband, Andoni (Tony) were brothers from Agia Anastasia. 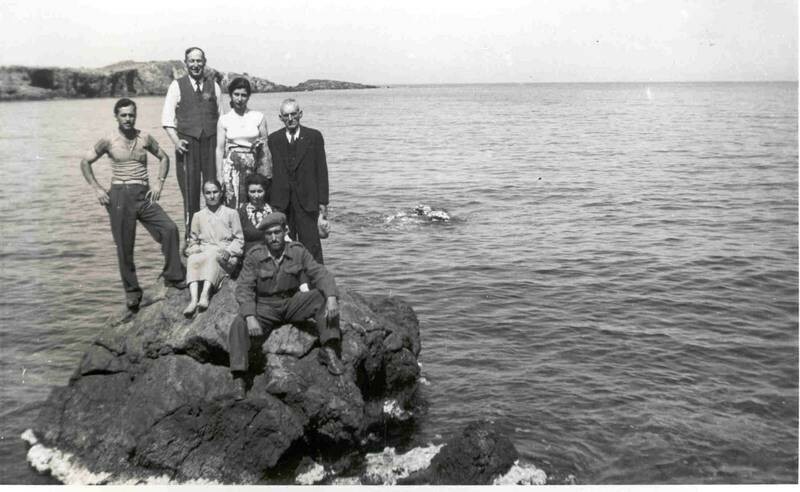 This photo is of Elli Mavromatis (Veneris), Ekaterini (Katina) Zantiotis (Moulos) and Diamanta Tambakis (Stathis). 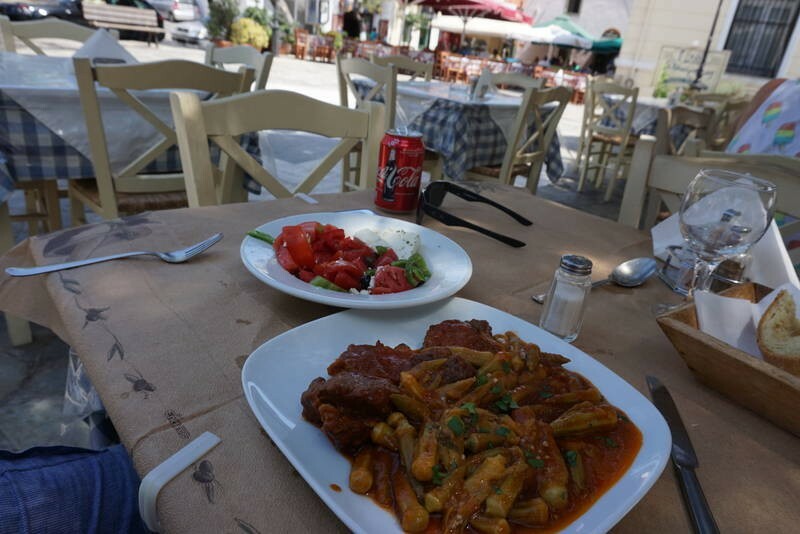 Elli is from Areoi and is the mother of Kytherian Kitchen star, Koula Tzannes. Katina, my paternal grandmother, was from Logothetianika. Her parents were Stefanos Moulos and Stavroula Kalopedis. 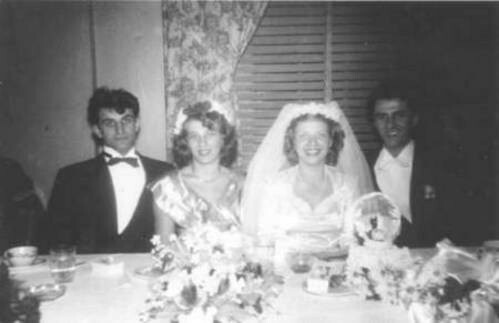 The lady is my mother Anna (Kyrani Anastasopoulos) and the gentleman is my paternal grandfather's brother, Anastasios (Ernie) Steve Zantiotis. My mother is from Perlegianika. She came to Australia in 1956. 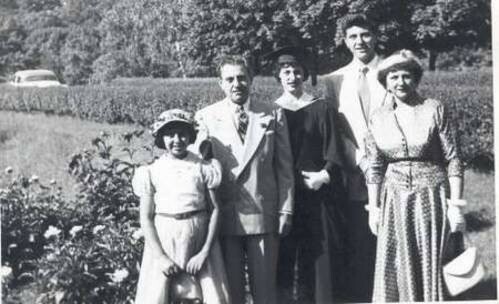 Her parents were Peter Con Anastasopoulos and Barbara Komninos. My great-uncle was born in Ayia Anastasia. 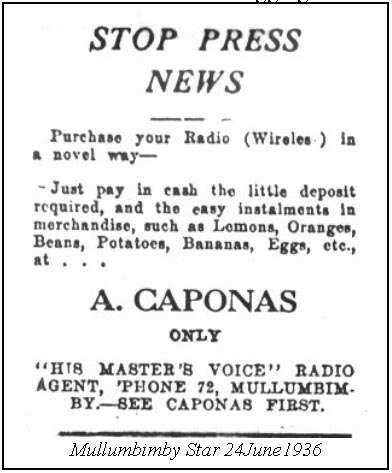 He arrived in Australia on April 1, 1924. This photo was taken on a trip to Queensland. 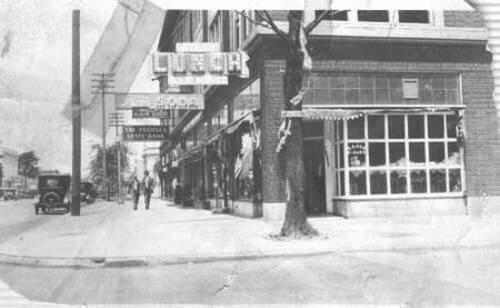 This photo was taken in March 1963. My grandmother, Ekaterini (Katina) was from Logothetianika. 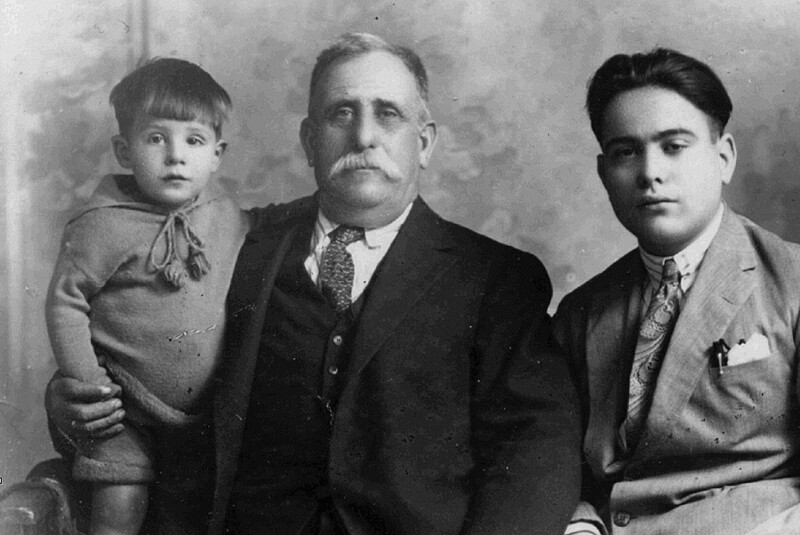 Her parents were Stefanos Moulos/Mallos and Stavroula Kalopedis. 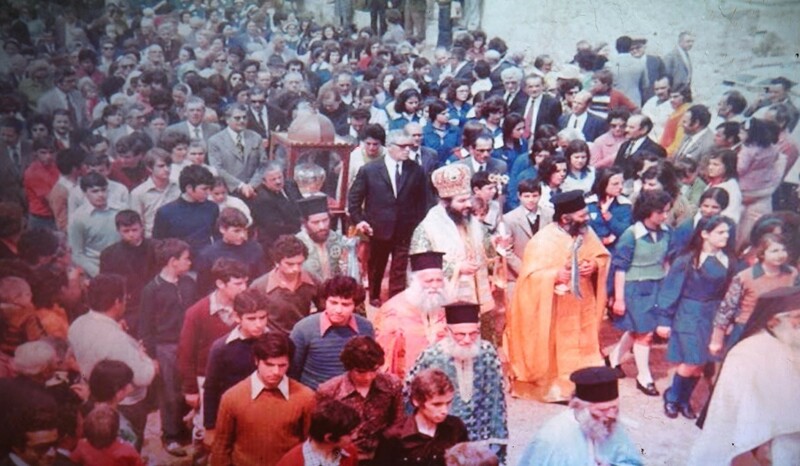 My grandfather was from Agia Anastasia. His parents were Stavro and Eugenia. commemorate 100 years the ANZACs left Mudros Harbour in Lemnos for the infamous Gallipoli landings. Publisher: Central European University Press. CEU Press. CEU Press Studies in the History of Medicine Vol. 6. Description: 340 pages including 15 black-and-white, and color illustrations. Darwin’s Footprint examines the impact of Darwinism in Greece, investigating how it has shaped Greece in terms of its cultural and intellectual history, and in particular its literature. The book demonstrates that in the late 19th to early 20th centuries Darwinism and associated science strongly influenced celebrated Greek literary writers and other influential intellectuals, which fueled debate in various areas such as ‘man’s place in nature’, eugenics, the nature-nurture controversy, religion, as well as class, race and gender. In addition, the study reveals that many of these individuals were also considering alternative approaches to these issues based on Darwinian and associated biological post-Darwinian ideas. Their concerns included the Greek “race” or nation, its culture, language and identity; also politics and gender equality. 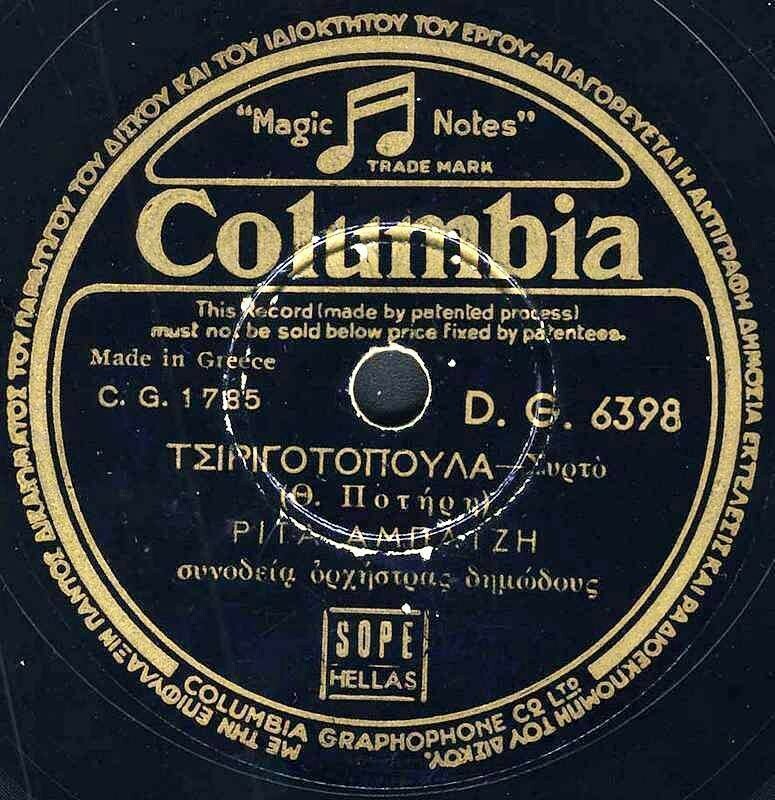 Zarimis’s monograph devotes considerable space to Xenopoulos (1867-1951), notable novelist, journalist and playwright. Synopsis: Charles Darwin’s theory of evolution revolutionised biology and deeply influenced modern thought. But how did Greeks react to it? Dr Zarimis discusses Darwin’s influence on concepts relating to the nation, language, culture and politics. “The original and significant contribution [of] this book […] derives from the fact that so little has been written, so far, about the influence of Darwin’s writings and Darwinism on Greek literary and social culture” (Emeritus Professor Peter Bien). 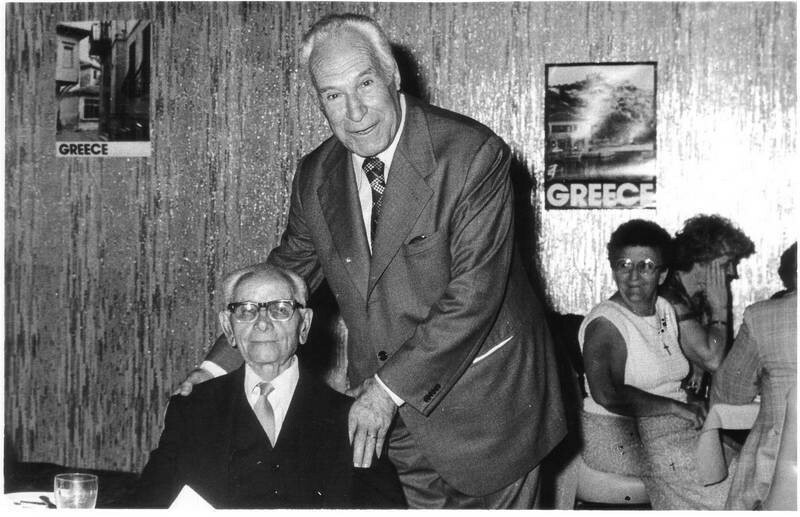 The event celebrates the centenary of the Greek translation of Darwin’s Origin of Species by Nikos Kazantzakis, one of the authors discussed in the book. Please join us for an evening featuring a presentation by the artist on her work followed by a book signing and wine reception courtesy of Franklin Hill Vineyards. Limited edition prints will also be available for purchase. A portion of the proceeds from the event will be donated to the Totts Gap Arts Institute Scholarship Fund. Special thanks to the Fulbright Foundation in Greece whose generous grant made this project possible; the Kytherian World Heritage Fund for publishing the monograph of One Year on Kythera; the Totts Gap Art Institute, Slate Belt Community Partnership, Franklin Hill Vineyards, and Lucy Flinn State Farm agent for hosting and sponsoring the event in Pennsylvania. Being Greek Festival  Carss Bush Park,  Kogarah. Mε µεγάλη επιτυχία πραγµατοποιήθηκε την περασµένη Κυριακή το φεστιβάλ Being Greek Festival στο Carss Bush Park, στο Kogarah. Χιλιάδες επισκέπτες όλων των ηλικιών απόλαυσαν ένα πλόυ- σιο καλιτεχνικό πρόγραµµα κατά τη διάρκεια της ηµέρας. Ελληνικές αλλά και κάθε καταγωγής οικογένειες έσπευσαν να θαυµάσουν τους χορευτές, να γευτούν ελληνικές γεύσεις και να ακούσουν ελληνική µουσική. Παρόν καθ όλη τη διάρκεια της εκδήλωσης και ο τέως “πλέον επι τυχηµένος δήµαρχος” της Αυστραλίας και δρα- στήριος, πλέον, βουλευτής του οµοσπονδιακού κοινοβουλείου, κ. Νικόλαος Βαρβαρής καθώς και ο Γενικός Πρόξενος της Ελλάδας στο Σίδνεϊ, ∆ρ Σταύρος Κυρίµης. Ανάµεσα στους χορηγούς η Frutex, η Delphi Bank που στηρίζει δυναµικά την ελληνική οµογένεια σε πλήθος δραστηριο- τήτων και το Audi Centre Sydney, ενώ χρυσός χορηγός ήταν οι Poulos Bros. Στο φεστιβάλ πα- ρουσίασε την νέα του δουλειά ο παραγωγός και DJ, KRAZY KON. Το µεγάλο ελληνικό γλέντι τέλειωσε µε τη ρίψη πυροτεχνηµάτων αργά το απόγευµα. 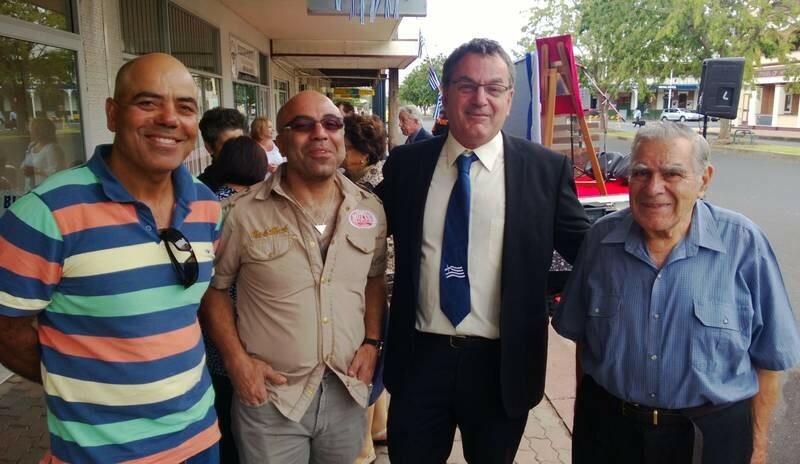 Last Sunday's Being Greek Festival at Carss Bush Park, in Kogarah was a great success. Thousands of visitors of all ages enjoyed a wealth of activities, including artists and dancing programs during the day. Large numbers of Australians of Greek origin flocked to the venue to admire the Greek dancers, taste Greek cuisine and listen to Greek music. Present throughout the event was the former Mayor of Kogarah, now, federal parliamentary MP, Mr. Nicholas Varvaris and the Consul General of Greece in Sydney, Dr Stavros Kyrimis. 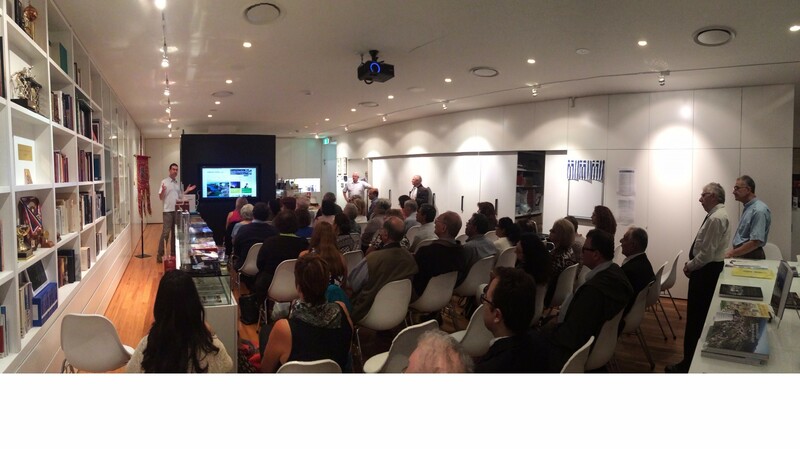 Among the sponsors of the event were Frutex, the Delphi Bank, the Audi Centre Sydney, and gold sponsors - Poulos Bros. All support the dynamic Greek Diaspora in numerous activities. Producer and music provider for the Festival was DJ, KRAZY KON. The Being Greek Festival ended with a spectacular fireworks display at 8:00pm. "Biggest event to hit Grafton in 25 years"
Photograph: TRIUMPH: The audience was wowed by the music and singing of An Afternoon at the Proms. GRAFTON'S Afternoon at the Proms may have even been better than the real thing. Angelo Notaras thinks so, and judging by the crowd's enthusiastic standing ovations on Sunday afternoon, they do too. An Afternoon at the Proms, based on the Proms Concert of London, was a first for the Clarence Valley and included all the classics, including Land of Hope and Glory and Sailor's Horn Pipe performed by the Clarence Valley Sinfonia Orchestra. 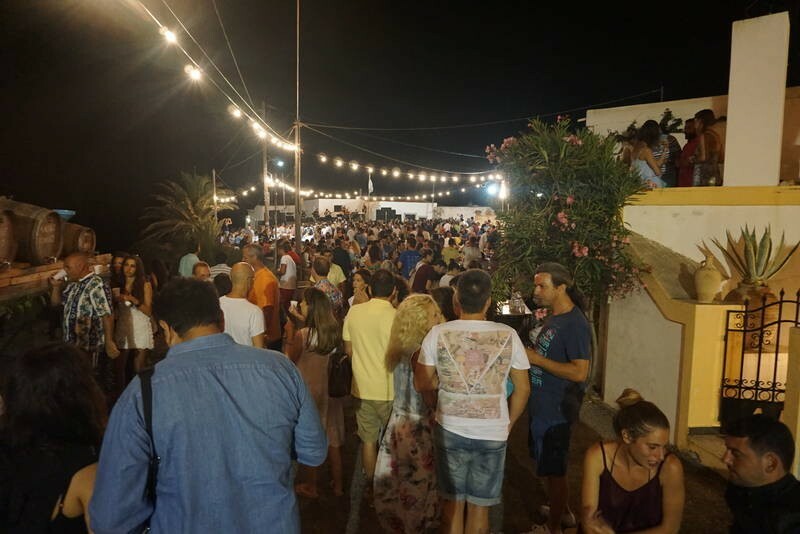 Having been to the Proms in London on many occasions, Mr Notaras, also the co-owner of the Saraton Theatre, said he was happy to report the success of the local version might have secured its future as an annual event. "I think it might have been the biggest event to hit Grafton in 25 years," Mr Notaris said. "The thing that stuck me was enthusiasm and community spirit of all the people on stage. "Grafton doesn't understand how lucky they are to have people like composer Greg Butcher and everyone else in this town, and we need to have things like this so people like this can come out and blossom." Composer Greg Butcher said the show was tremendous. "I'm very proud of how well both the orchestra and choir played," Mr Butcher said. "Nothing like this has been done for a while with local musicians and it all came off." What is Kytheraismos? It’s a chance to find your Kytherian and Hellenic roots. It’s an opportunity to hear from others about why Kythera really matters. It’s a forum for exchanging ideas and personal experiences. It’s a journey of discovery. Come along and take part. 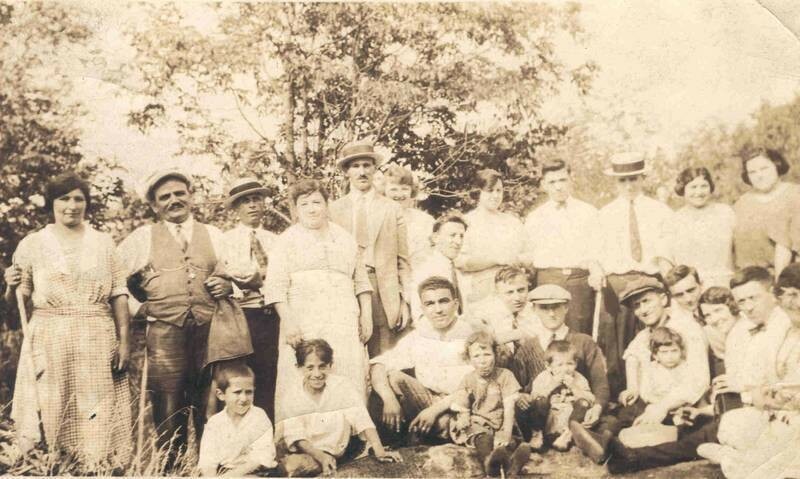 If you are interested in finding out your family background, then this session will be for you when you will hear and see presentations on how to do this through ancestry and genealogical research. Kalie Zervos and Amalia Samios will present “Tracing your Kytherian roots” whilst John Minchin from Tasmania will explain how his search for his own Kytherian roots required perseverance, technology and good luck. A strong supporter from the Kytherian Society of California, Vikky Vrettos Fraioli, will also present on this theme, as will Cynthia Cavalenes-Jarvis who will deliver a paper titled: “When your father is from Kythera you don’t dare so ‘no’ even in the face of death”. If you miss this talk you will do so at your peril. 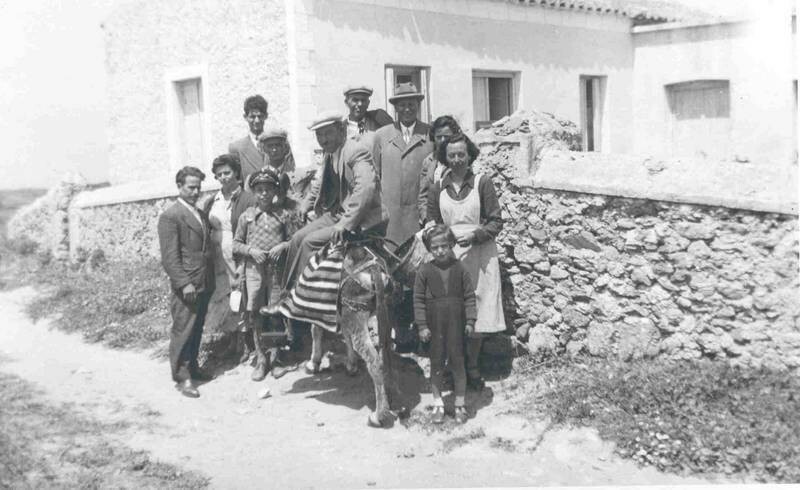 Why the website Kythera family net and the Kytherian World Heritage Fund (particularly its book publishing arm) are so vital to our understanding of who we are, will be the subject of a presentation by Kytherian stalwart Angelo Notaras. 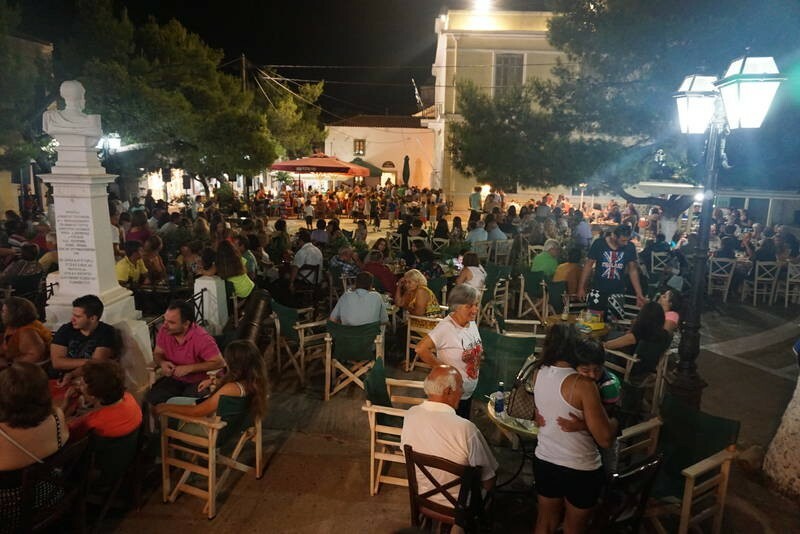 How the Karavitiko, a great example of a local initiative that recalls our island home, has been going since 1967 will be explained by Theo (Kapetanios) Poulos. 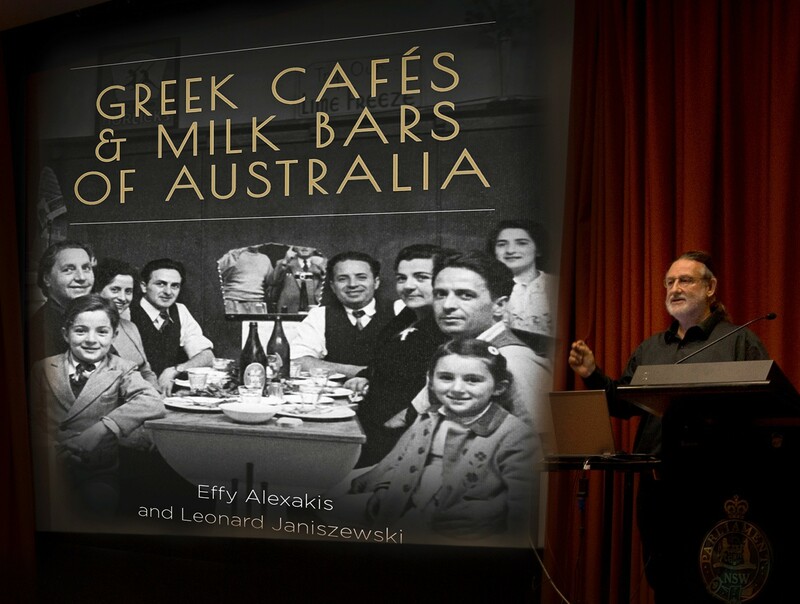 George Vardas, the Kytherian Association’s cultural attaché, will talk about Kythera in the historical and cultural context of the Ionian Islands - where, to borrow from Lawrence Durrell, the blue really begins - and the recent efforts to revitalise the Eptanesian Federation in Sydney Kytherian migration to Australia is an epic story that can be retold in so many ways. Come and hear the eminent Kytherian economist and researcher, Nickolas Glytsos, discuss the costs and benefits of Kytherian migration across generations. Anthea Matis, the President of the Kytherian Brotherhood of Canberra, will present the story of the Kytherians who made Canberra their home. One of the keynote speakers will be the well-known artist (and current Kytherian Councillor), Manolis Haros, who will exhibit and display a range of his artworks which span both abstract and expressionist dimensions, especially landscapes, across various media. Manolis Haros studied etching and painting in Paris and had his first one-man show in Athens in 1981. One of his more recent exhibitions was at the Benaki Museum in 2011 where he presented an eclectic mix of works based on Aesop’s Fables to wide acclaim. His landscapes of Kythera are often dreamy and surreal. Professor George Kanarakis will talk about literature of the Greeks of the Diaspora and the numerous examples of Greek-Australian writers, poets and other literary figures who graced the Antipodean stage. Dr Maria Zarimis will take us down a path which we, or certainly our parents, have experienced with the Kytherian tradition of mantinades (rhyming folk songs) and funeral laments as part of the Kytherian cultural evolution of expressing our many and varied emotions. Melina Mallos from Brisbane will run a workshop based on ideas from her book “Catch the cat”, the first English-Greek bilingual picture book. The historical development and significance of traditional Kytherian folkloric dressing will be the subject of an interesting presentation by Politimi Moulos. Have you ever dreamt of rebuilding your family home on the island? Or investing in property in Kythera? What are the legal and financial obstacles? 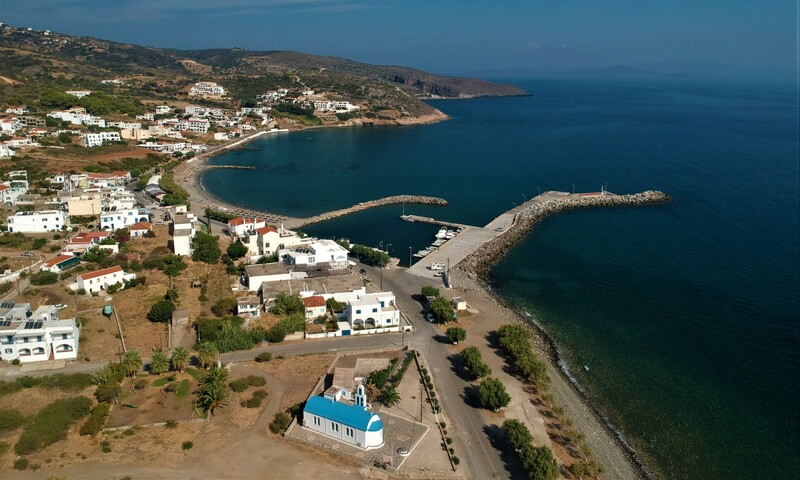 Former mayor Emmanuel Cassimatis will discuss ownership and development of land in Kythera whilst Anthony Conomos will present “Kythera living”, your future in Kythera. The Roman philosopher Cicero famously wrote that to add a library to a house is to give that house a soul. The establishment of the new public library in Kontolianika, as an example of inspired Australian and US expatriate benefaction on our island home, will be related by George Poulos. Yiannis Mavrommatis will present a paper on the intriguing similarities and coincidences between the island’s Agios Theodoros and the new hospital at Potamos. Peter Magiros will discuss how his dream of a multifunctional sports facility on the island has come to fruition with the opening of the impressive sporting field at Livadi. Recent archaeological explorations of the Mentor shipwreck off Avlemonas and the Return to Antikythera expedition have featured our own John Fardoulis who will provide valuable insight into these projects. 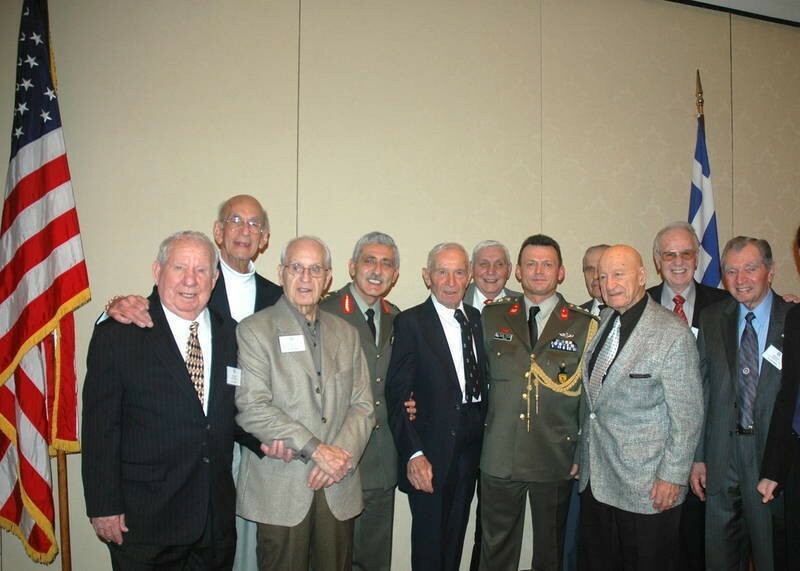 Don’t mention the war ...... actually we do..
That the Greeks and Australians fought together against the Nazi invaders when the rest of continental Europe had either fallen or surrendered during World War II, is the stuff of legend. 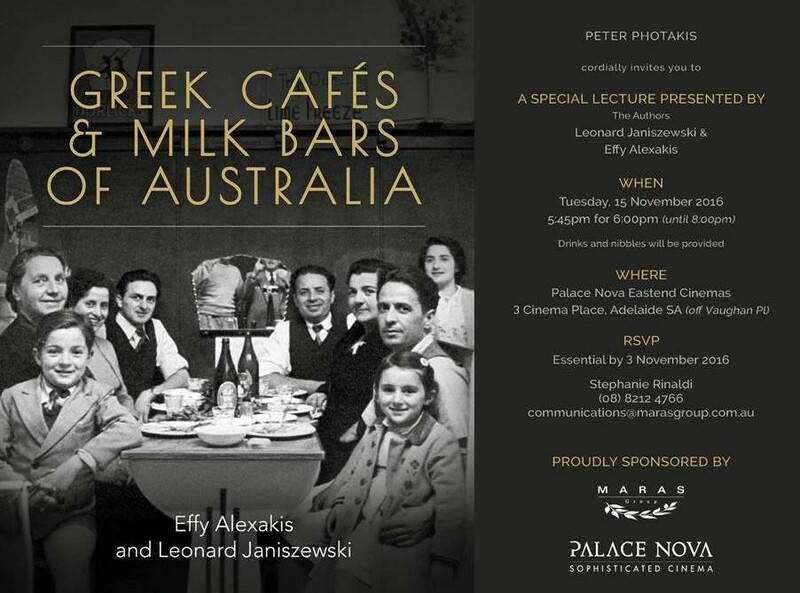 Their famous exploits will be covered by historian Maria Hill in her discussion of the role of the Australians in Greece during the war and by journalist and broadcaster Mike Sweet as to the Australian war effort in and around Kythera as the Battle of Crete raged. There will be other speakers to hear and engage. Because the very concept of Kytheraismos - a global interaction between people of Kytherian descent and philo-Kytherians - is a vehicle by which we are able to connect the real world of Kythera (both the present and the past) with the fantastic world of the Kythera in our dreams. Stephen Zantiotis, Con Poulos (Anastasopoulos) and Anna Zantiotis (Anastasopoulos) at the wedding of Con's granddaugther on 4 October 2014. Stephen and Anna are my parents and Con and Anna are brother and sister. 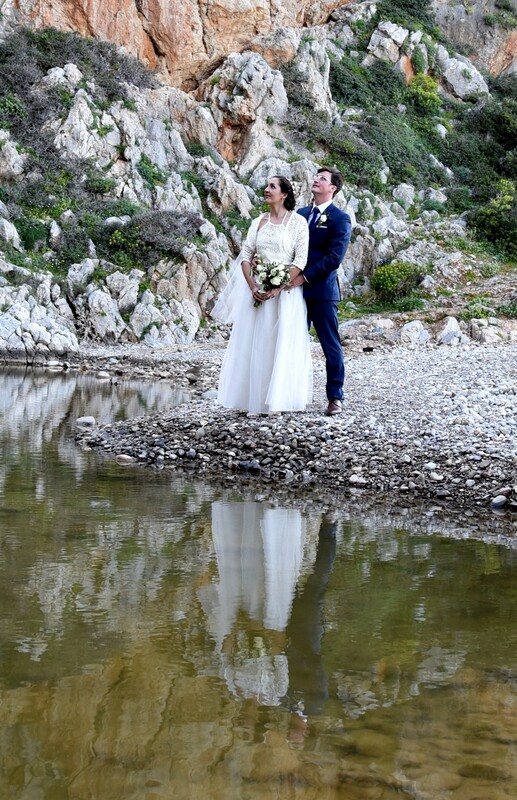 Con Poulos (Anastasopoulos) and his sister, Anna Zantiotis (my mum) at the wedding of Con's granddaughter on 4 October, 2014. 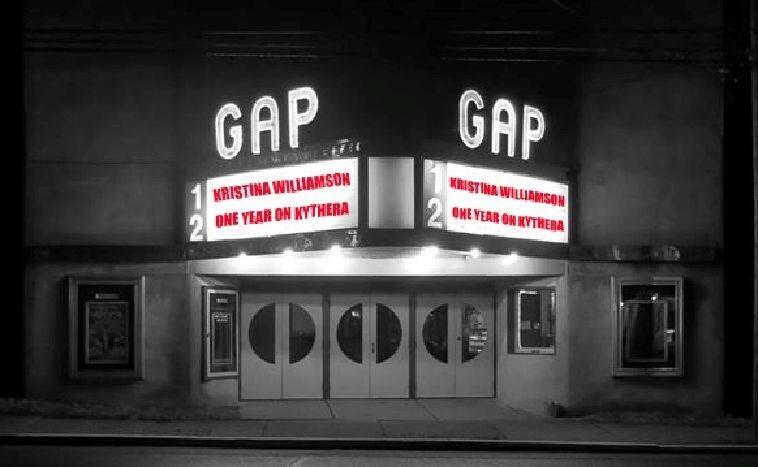 'Kythera' was once owned by the proprietor of Mudgee's historic art deco Regent theatre. The Mediterranean origins of past owners, from the 1930s through to the 1970s, is referenced through the columns and rendering as well as through the naming, 'Kythera'. Accommodation for couples or a family group wanting an affordable stay with that special blend of convenience, comfort and luxury in beautiful Mudgee ... with just a touch of history! Book all four bedrooms, or just one or two, and enjoy the delights of this grand old home. 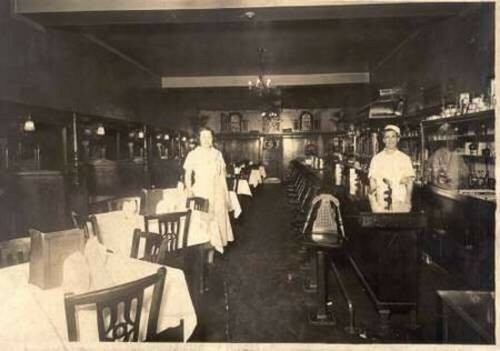 'Kythera' has original pressed metal ceilings and brass fittings throughout. Each of the four generous bedrooms boasts a unique period fireplace. There is a fully equipped country style kitchen and dining area and a recently renovated federation style bathroom and laundry. Enjoy a BBQ in the leafy garden and expansive shaded outdoor area. Relax and enjoy your stay in a 'home away from home' whilst you explore the bounty of the Mudgee region. Convenience - 118 Mortimer 'Kythera' is situated centrally - convenient to shops, restaurants and Mudgee town's day and evening attractions - just one block from the town's centre and 10 minutes any direction to Mudgee wine country. Comfort - Three generous queen size bedrooms and a bunk room (2 sets of bunks) - with central heating in winter, connected to a cool breezeway for summer. There is a fully self-contained kitchen and cosy family room with library and games. Two bathrooms. All linen included - electric blankets and doonas, comfy pillows, crisp white sheets & a plentiful supply of fluffy white towels. Luxury - Relax and unwind in the claw foot bath. Soak up the sunshine and surrounds in the leafy back garden. Read the newspaper and plan your day's outings. Late Sunday check out if needed. Breakfast hamper option by request. Pamper pack & bath robe option. with just a touch of history! Built in the 1880s on land first granted to George Cox in 1839, historic 118 Mortimer has been renovated over successive generations of owners and now lovingly restored. 'Kythera' was once owned by the proprietor of Mudgee's historic art deco Regent theatre. The Mediterranean origins of past owners, from the 1930s through to the 1970s, is referenced through the columns and rendering as well as through the naming, 'Kythera'. The cottage and stables were built for the first owner, a blacksmith William Little.You will find the original stables fireplace still standing not far from where you park your car. In 1898 William Little sold the property to Patrick Kirby, named in the title deed as a 'boarding house keeper' (a facsimile copy of the title deed between William Little and Patrick Kirby hangs in the rear hall). 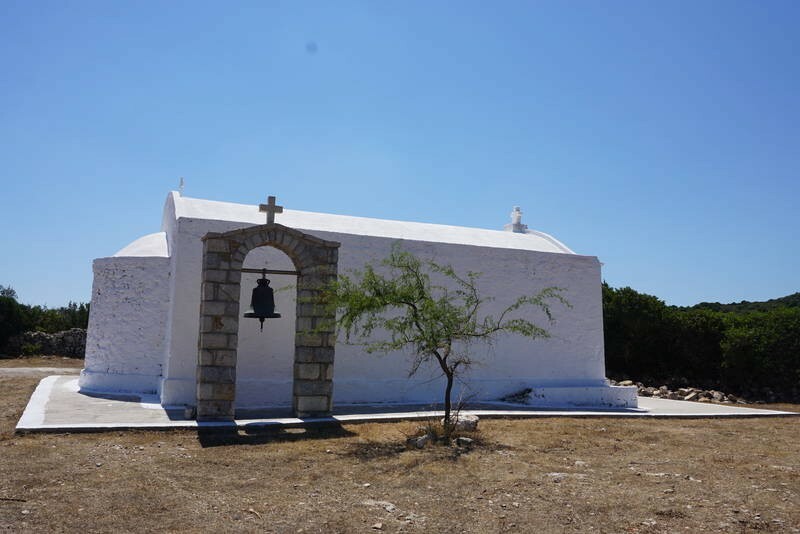 You can see 'Kythera' has a long history in providing accommodation in the township and district! Steep yourself in the history of this special piece of Mudgee?s past, when next you tour the Central West of NSW. In the immediate post-war years, Australia launched a bold mass immigration program to increase the size of its population: a large workforce would boost economic development; more people could better defend the country. Initially Australia encouraged immigrants from the United Kingdom and Displaced Persons from war-torn Europe. Even within a few years the Australian economy became dependent on a constant flow of migrant labour, but the Displaced Persons scheme slowed about 1951 and ended in 1953. Australia became a founding member of the Intergovernmental Committee for European Migration, which was set up to provide assistance for Europeans in overcrowded countries to move to under-crowded countries. Through and with the ICEM, Australia made migration agreements initially with The Netherlands, Germany, Italy, Austria and Greece. It also took people from other countries including, for example, Yugoslavia. 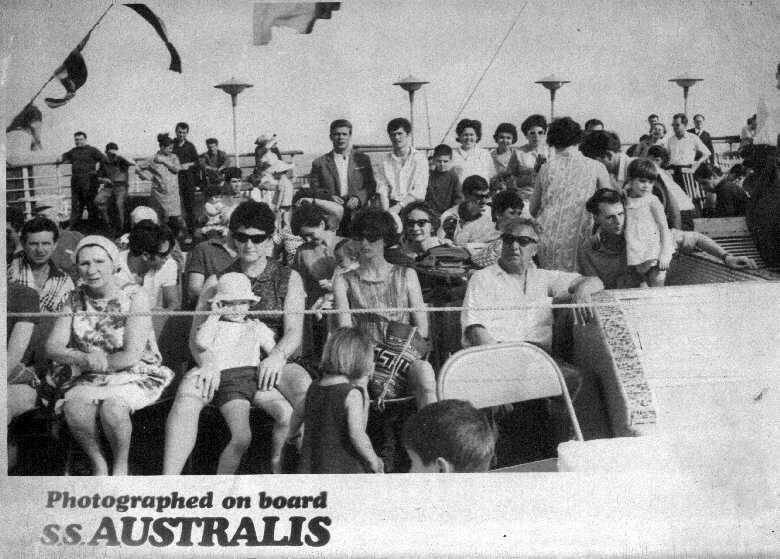 Between 1951 and 1959, the ICEM arranged for 233 000 people to come to Australia, principally from Greece and Italy. 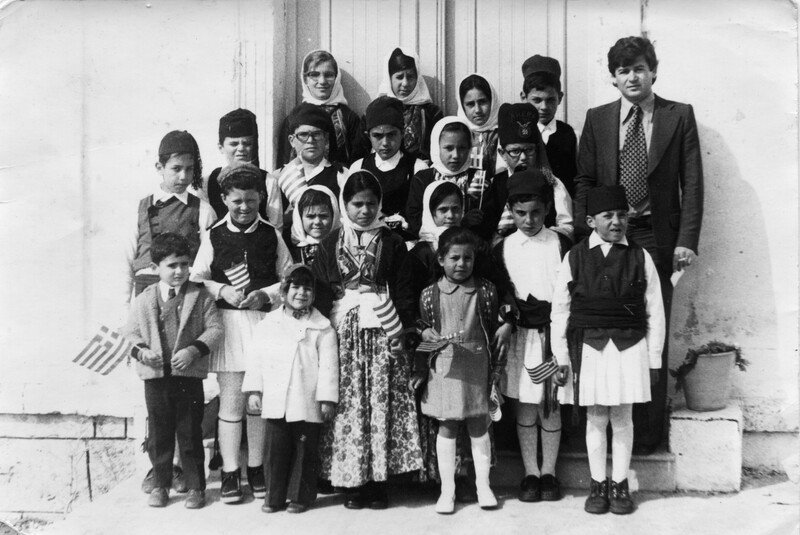 Even before Australia reached a migration agreement with Greece in 1952, over 5 000 Greeks had arrived since the war ended. They were privately sponsored by Greeks already resident in Australia who were prepared to guarantee housing and employment. From 1953 to mid-1956 there was a large influx of Greek migrants: about half of the 33 639 to arrive were assisted by the ICEM and Australian Government: almost all were processed at the Bonegilla Reception and Training Centre. 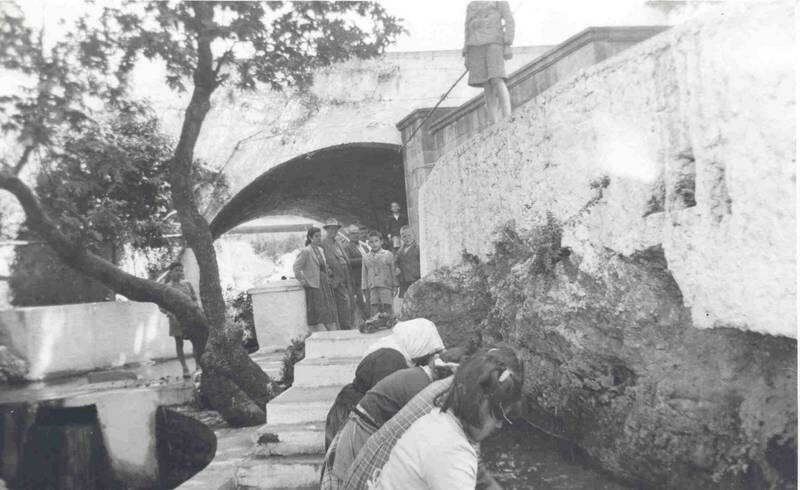 These contingents of assisted Greek migrants arriving between 1953 and June 1956 provided the impetus for subsequent Greek migration. They and those they brought formed an extensive migration chain in which they nominated wives, sisters, fiancés and other close relatives for assisted passages and for unassisted admission. In 1947 12 291 Greek-born people lived in Australia. By 1961 that number of Australian residents born in Greece had increased six-fold. By 1971 it doubled again. The Bonegilla Reception and Training Centre was the official employment office through which about 15 000 assisted Greek migrants were processed in what was called ‘the ICEM Greek Project’ between 1953 and 1956. It was from Bonegilla that many Greeks started work and life journeys within Australia. In 2007 the Block 19 remnant of the former Reception Centre was placed on the National Heritage List. Bonegilla holds powerful connection for many people in Australia…. [It] forms an important part of Australia’s recent collective memory and has become a symbol of post-World War II migration. It represents the role of Australia as the ‘host’ nation…. Bonegilla and its associated oral and written records yield insights into post-war migration and refugee experiences. Commonwealth of Australia Gazette, 7 December 2007. What insights do the site and its records yield (i) into assisted Greek migrant arrival and early settlement experiences and (ii) into post-war Australian immigration policies and practices? How have the arrival and early settlement experiences of assisted Greeks been remembered or re-imagined? 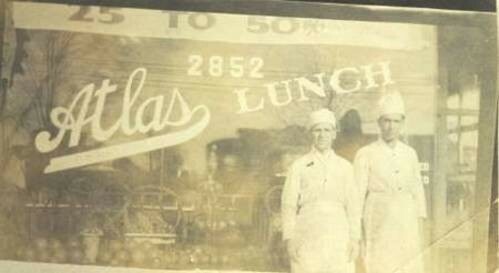 What kind of place was Bonegilla for Greeks? Many Kytherian-Australians avail themselves of the facilities offered by ESTIA. This has a powerfully positive effect on the carers and the 'cared-for' lives. The development is being built with an extraordinarily generous donation of $10 million from an anonymous donor. Kogarah councillors approved a development application on Monday night for a respite care centre at 52 Waratah Street Kyle Bay, despite Kyle Bay Residents Association expecting a deferral and "due process". The decision was made in a council meeting room packed with association and Estia supporters, including a number of people with disabilities. While supportive of a respite care centre for young people with disabilities on the old Kyle Williams Estate — which is in keeping with the original trust — association members fear future commercial development such as a seniors village. They have been fighting for a guarantee that there would be no such development on the site they say is the only remaining pristine bushland in St George. 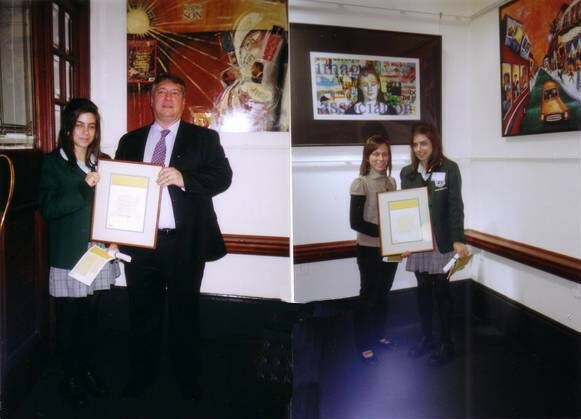 They had wanted that guarantee in writing from the Greek Orthodox Church-connected Estia Foundation and from Kogarah Council. They have accused Kogarah Council of "unseemly haste", a "lack of due process" and "done deals" to get the development application through. Association member Tony Soubris said a deferral would have given the council a chance to consider the implications of the National Trust listing the Kyle Williams reserve and estate, jetty and waterfront, as the Kyle Bay Cultural Landscape, and of the council's proposed rezoning amendments. Essentially, they wanted the site, which comes with two council zonings, to be under one zoning protecting it from future development. But the eight voting councillors decided council officers had done all the right things and Estia should go ahead with its project. Cr Michael Platt said the public needed to understand the amount of detail council staff had gone into when preparing the application. It had taken about six months for a decision, compared with the usual 40 days. But association members are not convinced. "We are considering our options on how we can obtain some sort of guarantee that no future commercial style development will be built on the balance of the estate," Mr Soubris said. "We've asked Estia for a Voluntary Planning Agreement — which they refused — to merge the surplus land of the estate with the reserve to give the public access to the foreshore. "And we've asked the council to put on a restrictive covenant on the site but they took the view that it was not necessary." Estia Foundation lawyer James Jordan said Estia was not obliged by law to enter into a Voluntary Planning Agreement. "But we will comply with all the statutory and regulatory requirements at the commonwealth, state and local level and we will continue to be good corporate and charitable citizens and neighbours," Mr Jordan said. "'We would like to thank the council and the neighbours for this interest in our application." To support and enhance the lives of individuals of diverse backgrounds with intellectual and physical disabilities by provision of quality service and a person centered approach.